The limited edition “Boston stands as one” t-shirt is available now at baa.org and adidas.com/bostontribute for $26.20. I wish I had heard about them sooner. 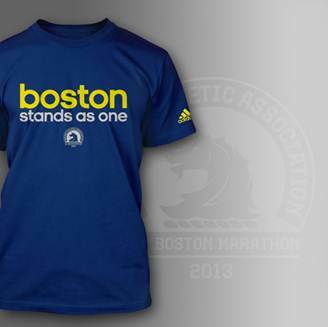 It is really nice of Adidas to think about this to help those people affected. It is really exciting that the shirts are sold out and it means that a lot of people would receive some financial assistance and support.